Hell Pizza is under fire from former franchise owners who say they have been bullied out of business, including one couple who say they are now $300,000 in debt. TV ONE's Sunday programme has obtained information indicating the company pushed a couple out of their franchise, a move labelled "operation abortion" by Hell co-owner Callum Davies in internal emails - watch the Sunday investigation below. In 2006, Natasha Fernandez and Benji Thorn invested $300,000 in a Wellington-based Hell franchise. The couple also paid tens of thousands of dollars for agreement fees, stock, training, launching and the purchasing system. Things went well for the first few years until Hell Pizza terminated the contract, alleging the pair breached the terms three times and kept the store dirty. "Which I found funny because being eight months pregnant I was here the night before on my hands and knees scrubbing the floors," Fernandez said. Trespass notices were issued, and the locks were changed on the Khandallah store, even though the lease agreement was with a third party, and nothing to do with the Hell company. "They took it from us and sold it to someone else," said Thorn. "We've got a bank balance of negative $300,000. If we work hard for the next 25 years, we can get the balance up to zero." Franchising lawyer Stewart Germann says termination is the worst event for a franchisee, as they lose the right to sell the business, and are therefore left with nothing. Germann examined the contract from Hell, and said he believes it is unfair. "There's a really good clause in it on the franchisee having to act loyally and faithfully towards Hell," Germann said, "I looked for the good faith clause so that Hell must act loyally and faithfully towards the franchisee but it's not there." 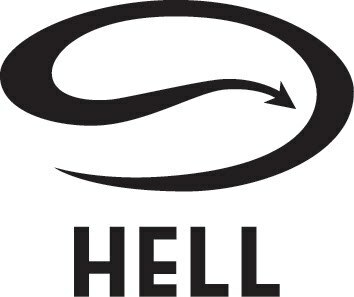 Hell directors Callum Davies and Stuart McMullin declined to comment on the termination of the pair's contract, but they said they had received dozens of complaints about the store before terminating the agreement. Fernandez believes she had become unpopular with management by objecting to Hell's controversial campaigns, including dropping condoms in letterboxes to promote a new pizza. Emails from Davies to the man who issued the trespass notice suggest the termination was a well-planned operation, reading: "Love your work, I think we need another name though… how about 'operation abortion?'" A particularly insensitive phrase for Fernandez who was going through a problematic pregnancy. The couple are not the only people affected by this one-sided contract. The Sunday programme has made contact with eight former Hell franchisees who have been terminated, or threatened with termination. Paul Hinton opened a Hell franchise in Pukekohe in 2007, and was so passionate about the brand he had the logo tattooed into the back of his neck. Hinton's relationship with the franchisors soured when he built a caravan to sell pizza at events. The company bought the caravan off him for $60,000, later claiming he had breached his franchise agreement and they were not going to renew the agreement. Hinton put his business on the market and found a buyer, which Hell refused to approve. He told Sunday the company eventually agreed to approve the sale, if he paid back the $60,000 they gave him for the caravan. However, that amount continued to increase. "It peaked out at, the last one was $110,000, plus $5000 a day for every day we thought about it," said Hinton. And the attacks got personal, with emails from Hell management offering to cut his tattoo off with a chainsaw. Eventually he was forced to close his business, and a new Hell Pizza store is now located across the road from where his shop was. Although Hinton, Fernandez and Thorn dispute the legality of their terminations, all three say they no longer have enough money to go to court. Hell directors Davies and McMullin turned down an opportunity to appear on the Sunday programme.